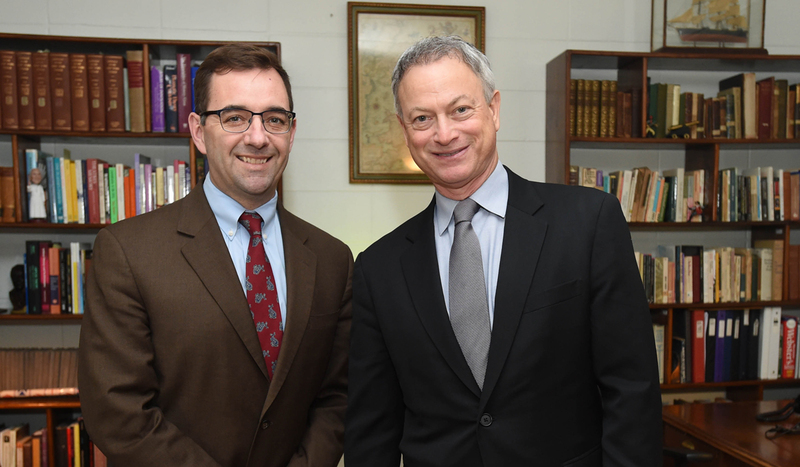 Emmy and Golden Globe Award-winning actor Gary Sinise was honored this past weekend with The Catholic University of America’s 2017 James Cardinal Gibbons Medal, the alumni association’s highest accolade. Sinise, who is well known for his film roles in Forrest Gump and Apollo 13, was chosen for this honor because of his decades of work with America’s service members. In 2011, he established the Gary Sinise Foundation to serve and honor military members, first responders, and their families. He is also the father of a Catholic University alumna, Ella Sinise, who earned her bachelor’s in elementary education in 2015. 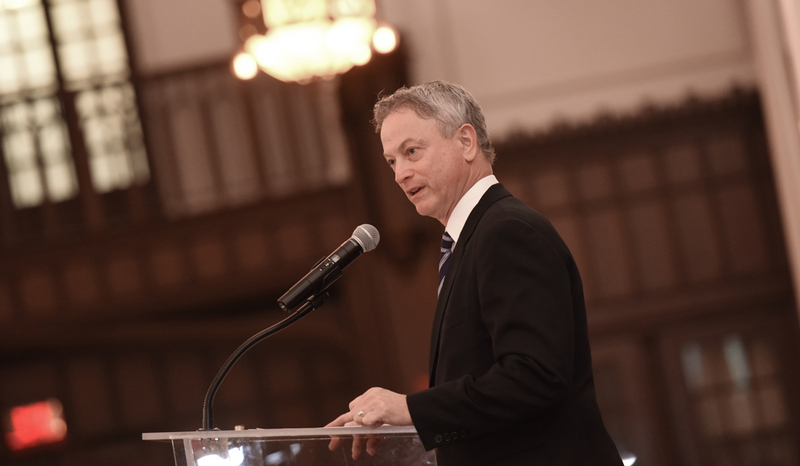 Sinise said he first became passionate about supporting veterans after meeting his wife, Moira, and her siblings, several of whom were Vietnam veterans. Nearly a decade later, he used their experiences as inspiration when he played Forrest Gump’s Lt. Dan Taylor, a disabled veteran suffering from Post-Traumatic Stress Disorder. Playing that role also led Sinise to become involved with the Disabled American Veterans organization. After the attacks of Sept. 11, 2001, Sinise said he felt more inspired than ever to serve military members and their families. He began performing for current military members and veterans with his band, Gary Sinise and the Lt. Dan Band. And in 2008, he started his own foundation, which provides resources and support for members of the military and armed forces. 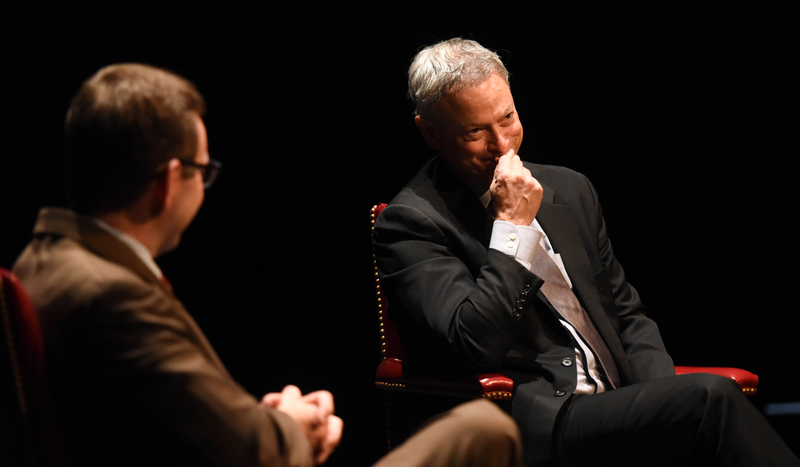 The night before the awards dinner, Sinise addressed students from the University’s Department of Drama and the Benjamin T. Rome School of Music in Callan Theatre. 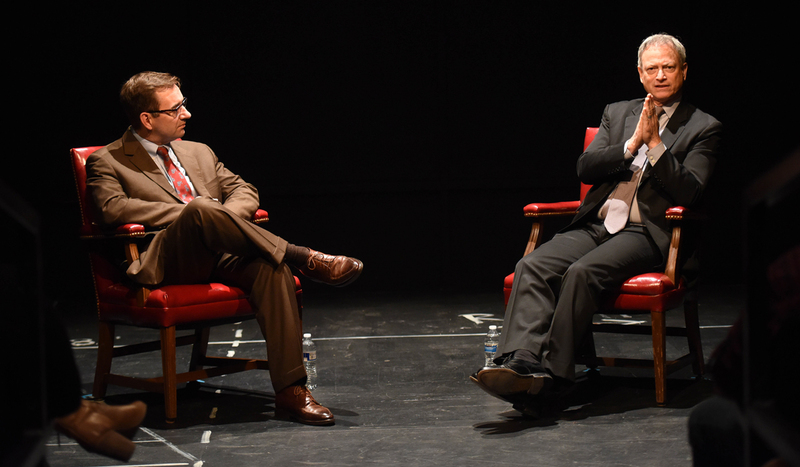 During a question-and-answer session, he shared stories about his early days as an actor, when he founded the nationally acclaimed Steppenwolf Theatre in Chicago with friends. At the time, he was only 18 years old. Though Sinise said he doesn’t have a formula for success in the acting world, he stressed the importance of persistence and learning from experience. 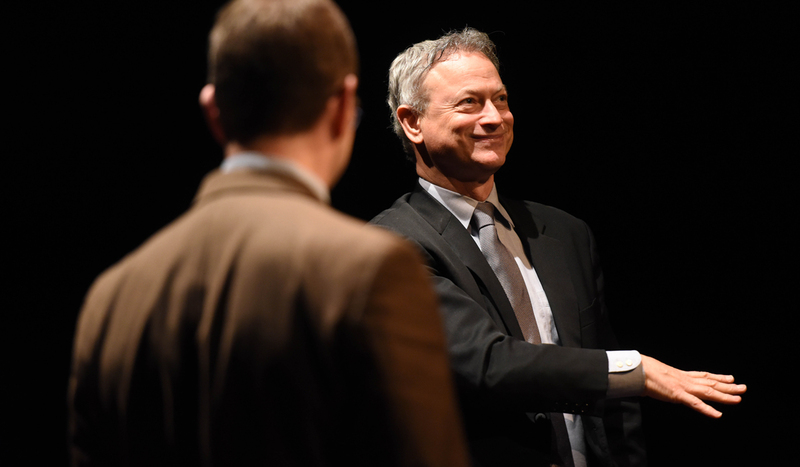 Sinise also told the students about his work with veterans, and how his time with them reflects his faith and impacts his work as an actor. 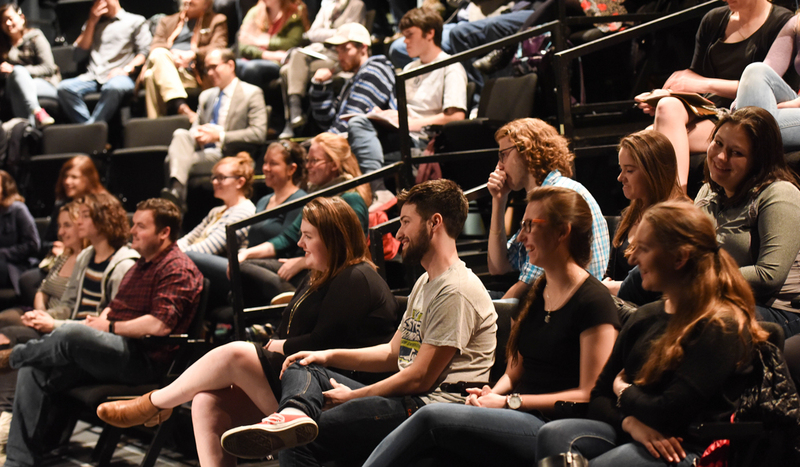 Patrick Tuite, chair of the Catholic University Department of Drama, invited Sinise to meet with students while he was on campus to receive the Gibbons Medal. 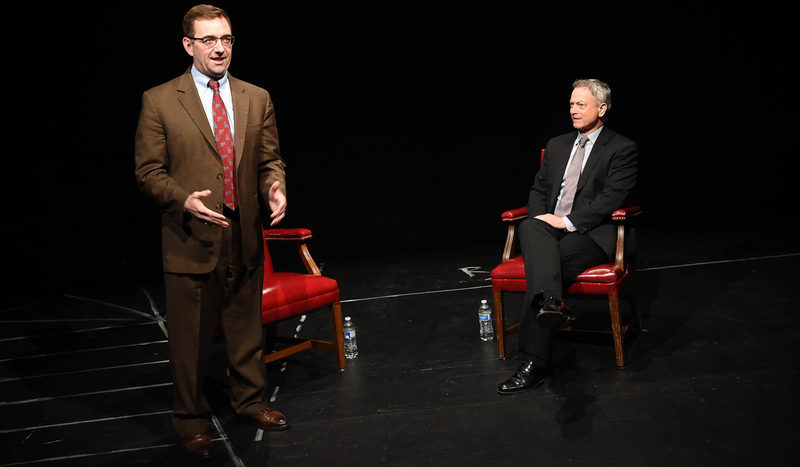 Tuite introduced Sinise to the students gathered for the question-answer event. 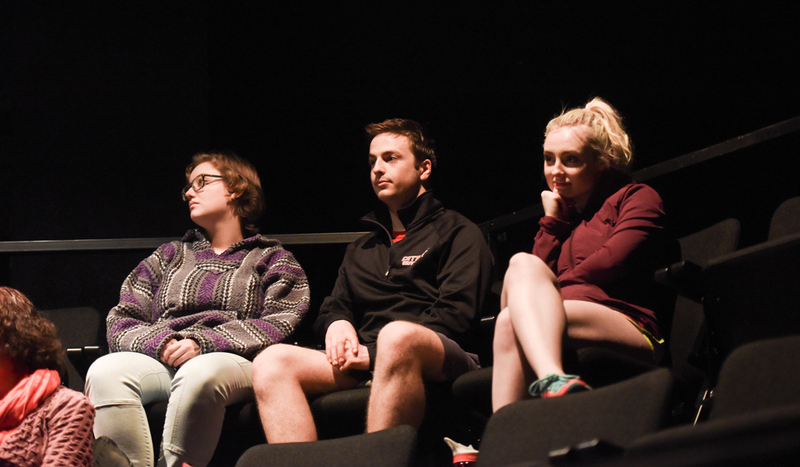 Sinise addressed students from the stage of the drama department’s Callan Theatre. 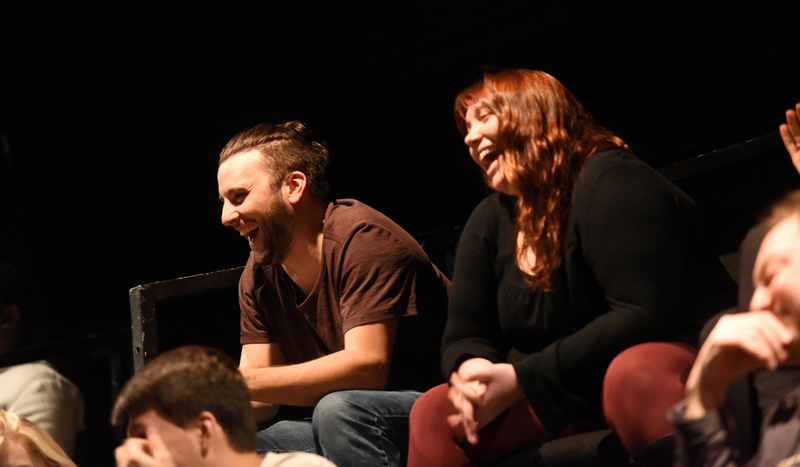 Students from the Department of Drama and the Benjamin T. Rome School of Music participated in the question-and-answer session. 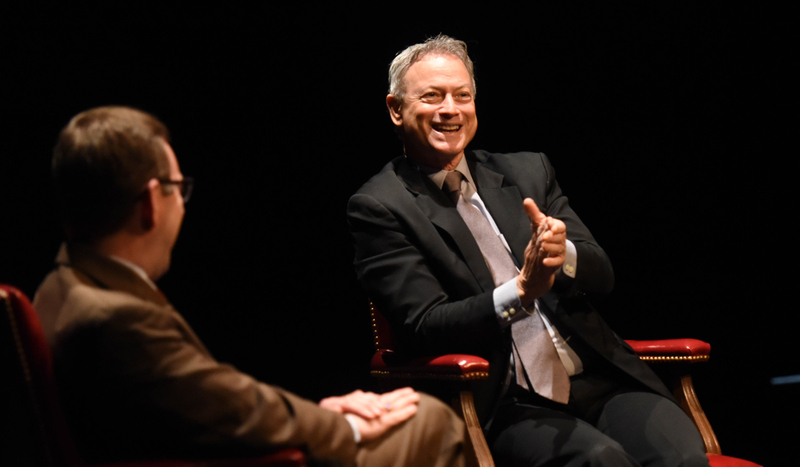 Sinise answered questions and related to the students as he recalled his early days as an aspiring actor. Students also asked about his work with veterans.